[toc]Hangover occurs when the body is unable to process the excessive consumption of alcohol in a short period of time. No matter what type of drinker you are, there is always a possibility of getting a hangover. The consequences of a hangover can be really frustrating as it hampers your work schedule totally, sometimes even for several days. Some of the symptoms of hangover include severe headache, stomach upset or nausea, sensitivity to sound and light, dizziness, dry mouth and fatigue. Hangover causes extreme dehydration and depletion of important vitamins like A, B and C from the body. There is no such specific cure for hangover. Trying over the counter medication can only make matters worse because most of them do not have any worthy credentials. 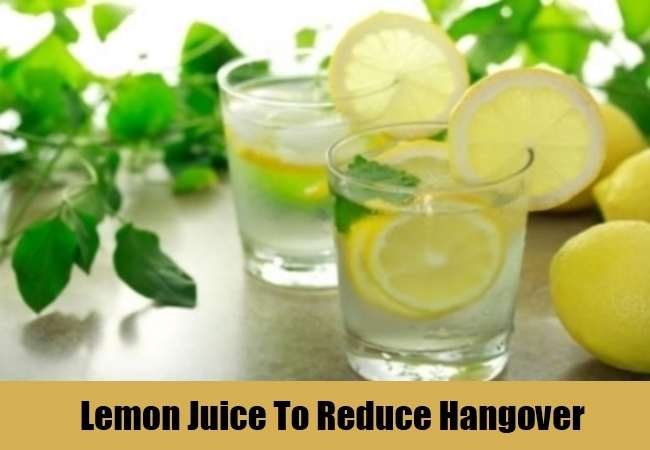 However, home remedies for hangover have proved to be very effective for quite a long time. This article lists some of the home remedies that could be useful for you. The last thing on your mind while having a hangover is eating. 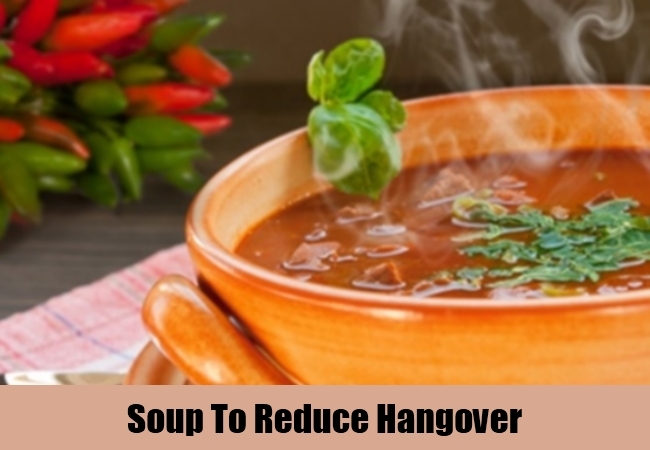 However, having the right kind of food actually helps to reduce the symptoms of hangover. Frequent urination while consuming alcohol leads to the drainage of important minerals like potassium and magnesium content of the body. A banana is filled with these minerals and having one results in their replacement in the body which is bound to make you feel better. 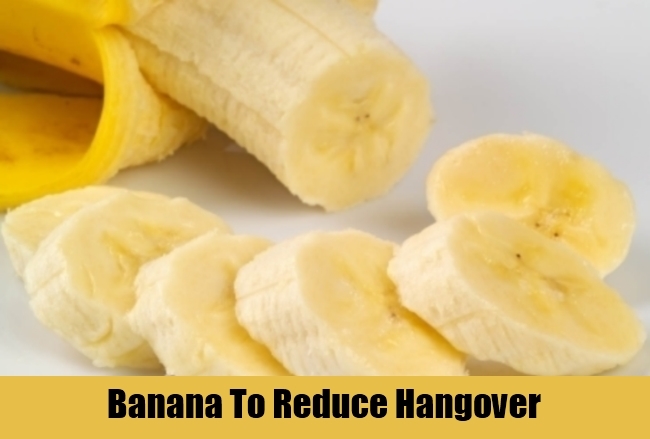 A banana milkshake made with a tablespoon of honey is also a good remedial option for hangover. Bananas even act as a natural antacid and thus also give relief from nausea. 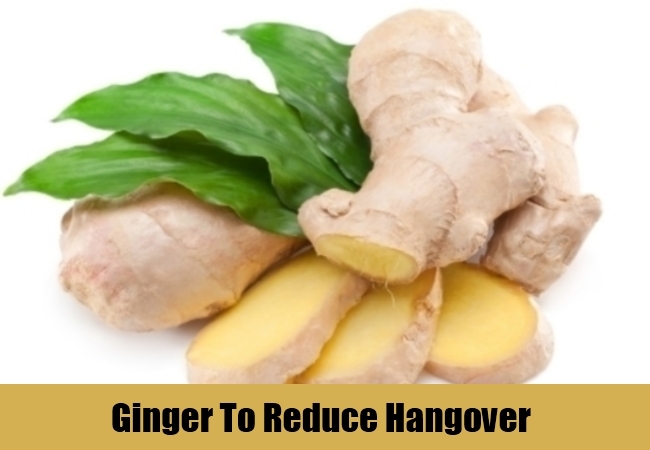 Apart from nausea and cough and cold the medicinal quality of ginger acts as a remedy for hangover too. Having a splitting headache and feeling nauseous is quite common in a hangover. Consuming ginger enhances the ability to digest alcohol faster which leads to the alleviation of symptoms like headache and nausea. Therefore, just chewing 2 or 3 pieces of ginger or drinking ginger tea proves to be very beneficial. You can even prepare a brew by cutting quite a few pieces of ginger root and then adding it to 4 cups of water. Boiling and straining this mixture after 10 minutes and then adding the juices of one orange and half a lemon with half cup honey prepares a concoction that stabilizes blood sugar which tends to become low after consuming alcohol. 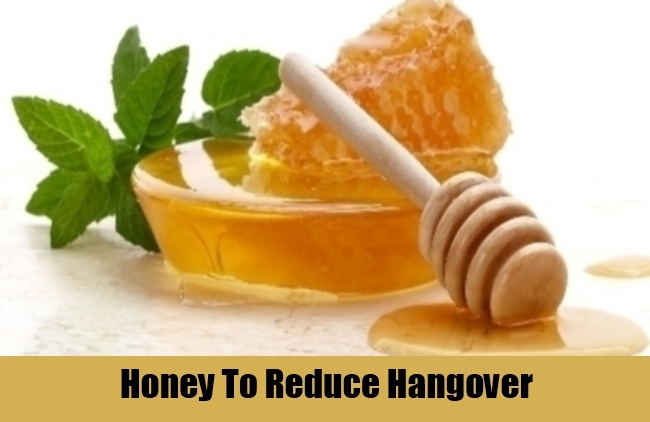 Honey is the most readily available home remedy to counter the symptoms of hangover. The fructose content of honey has the potentiality to burn alcohol faster thus neutralizing the harmful effects of alcohol. Consuming 3 to 4 teaspoons of honey at regular intervals of one hour helps to digest alcohol. Additionally preparing a classic “hot toddy” fills up the essential fluids and sugars lost in a hangover. Therefore, bring one cup of water to a boil and then mix in honey and lemon juice. Drink this toddy several times in a day. Water is the best medicine for hangover. Drinking plenty of water keeps your body hydrated thus preventing or alleviating hangovers. Therefore, keep on drinking water even after you are “drunk”. Water never allows the alcohol to settle in your body. Drinking water increases the urge to urinate which signifies constant elimination of toxins caused due to alcohol from the body. 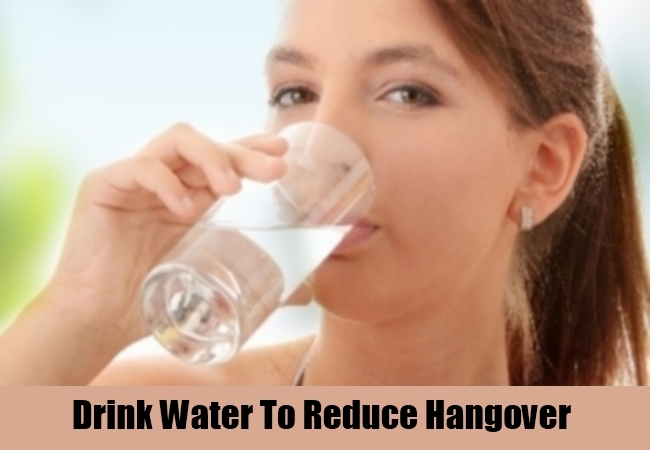 Drink more than eight glasses of water while recovering from hangover. Drinking juices is yet another way to ease hangover symptoms. Tomato juice specifically helps to get relief from hangovers as it contains fructose. Fructose being a form of sugar metabolizes alcohol quickly. Tomato juice or tomato soup thus helps to replenish the loss of water from the body caused due to excessive drinking. Prepare tomato juice by adding a dash of lemon juice to it for quick relief. The purpose of adding lemon juice is to replace the Vitamin C that the body loses while drinking. For this you can even drink fresh orange juice or take Vitamin C supplements. Pure or organic fruit juice that could be a combination of different fruits like cranberry, kiwi, blueberry, banana, mango, passion fruit, speeds up the recovery process as it puts to rest two of the dominant hangover causes; dehydration and the loss of vital minerals and vitamins from the body. Lime or lemon juice is also used as a remedy for hangovers as its capability to absorb alcohol quickly provides instant relief. The medicinal quality of lemon is mild on the stomach even when it is upset. Lemon tea prepared without sugar acts as a detox as it removes all harmful and unwanted materials from the stomach instantly. Excessive intake of alcohol causes the blood sugar levels to drop rapidly. Consuming fresh lemon juice in cold water with a little sugar helps control the blood sugar level immediately. This should be done first thing in the morning after waking up. Starch based food items gives a boost to the blood sugar levels of the body and also forms a coating in the stomach that instantly makes you feel better and gives you the much needed relief from a hangover. If you have doubts about digestion then you can start off with mild and plain foods like dry toast, rice or clear soup. A hangover robs you off all your energy so much so that you don’t feel like eating or drinking anything. Nevertheless, you need to eat to ease your stomach. Therefore, go slow at first but gradually start eating foods like honey muffins, fruit salad, salted crackers, multi grain cereals topped with yoghurt and berries to get relief from the symptoms of hangover. Sports drinks help to restore fluids, electrolytes and glucose that are lost due to dehydration. Electrolytes are salts that conduct electricity in the body and thus are vital for the functioning of cells. Acute dehydration during a hangover leads to the loss of salts and minerals that can be replaced by sports drinks like Gatorade. 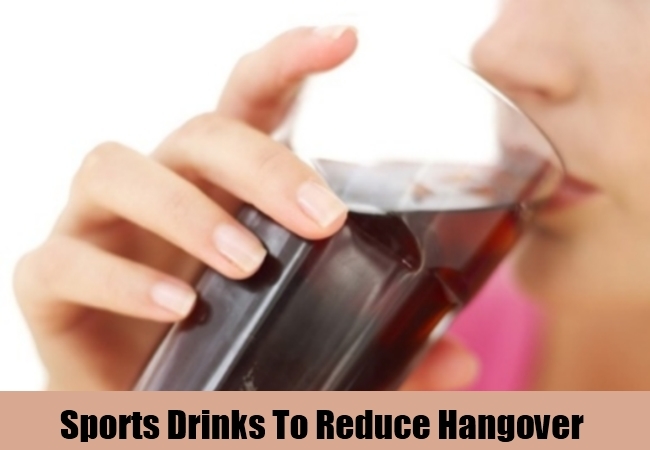 Cola also proves to be very beneficial during a hangover as it prevents you from feeling nauseated. This is possible due to the fizz or the acid content of the cola. Drinking cola also rehydrates you and the presence of caffeine and sugar leaves you feeling energetic. 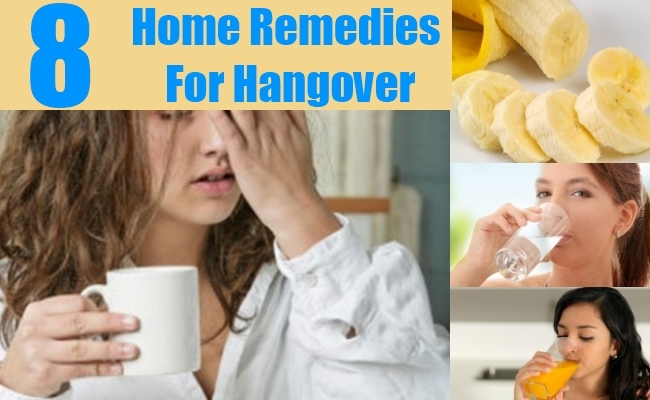 So, these are some of the most common and effective home remedies that can cure hangover quickly. The severity of a hangover though can be minimized by keeping yourself well hydrated and well nourished while drinking.